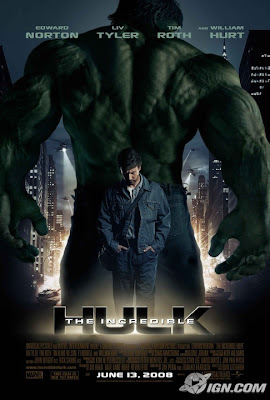 IGN has released a new poster for The Incredible Hulk. First thought this image reminds me of the famous Spider-Man image from the story arc that was adapted from the second movie, “Spider-Man: No More” where Peter walks away from his alter ego. Aside from the comparison, it’s nice, it definitely infuses the mude of the TV show, I can hear The Lonely Man Theme playing in the background.